The Maytime Inn is only less than half a mile off the A40 or B4047 where you will find yourself in another world. The river Windrush meanders gently through the beautiful countryside, a stone’s throw from The Maytime Inn, which dates back to the 17th Century and in times gone by was a coaching inn with its own Smithy. The village of Asthall features on many walking routes and what better place than The Maytime Inn to stop, rest and refresh yourself. Your dog may also appreciate a drink! The Maytime Inn is independent and fiercely so, because of this, they can offer you a range of excellently conditioned, regularly changing local ales, ciders and a wide selection of fine wines by the glass. Their Award Winning Chef and his team will set out to delight whether you choose from the a la carte menu, pub classics or even a sandwich. They only use the finest fresh local produce in each dish so you can be ensured of a quality meal, be it a candle lit dinner or a sandwich at lunch. The village of Asthall is the original home of the famous Mitford sisters and also has a stunning old church set next to the Manor house which regularly hosts popular public events. The Maytime Inn is within easy striking distance of Burford, Oxford and Cheltenham as well as many other local attractions. If you need more time to explore the area or simply want a few nights away in quiet, beautiful rural surroundings, they have six en-suite guest bedrooms so they can ensure a truly personal service. The Maytime Inn have now been awarded our highly revered Good Hotel Award – Gold Seal for 2019. Our Gold Seal is the highest accolade bestowed by the Good Hotel Awards and is reserved to those achieving our award for three consecutive years or more. Hotels must maintain the same exceptional standards that gained them initial entry into our awards over a three year period. Truly making this achievement the marque of distinction. These premises have demonstrated exceptional levels of room quality, service and value when compared to industry benchmarks in their category and have now maintained this formidable standard for five consecutive years. In recognition of this achievement they have been duly awarded our highest accolade the Good Hotel Award – Gold Seal for 2019 | Good Hotel Award Winners in 2015, 2016, 2017, 2018 & 2019. 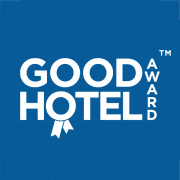 In recognition of this achievement they have been duly awarded the Good Hotel award for 2015.